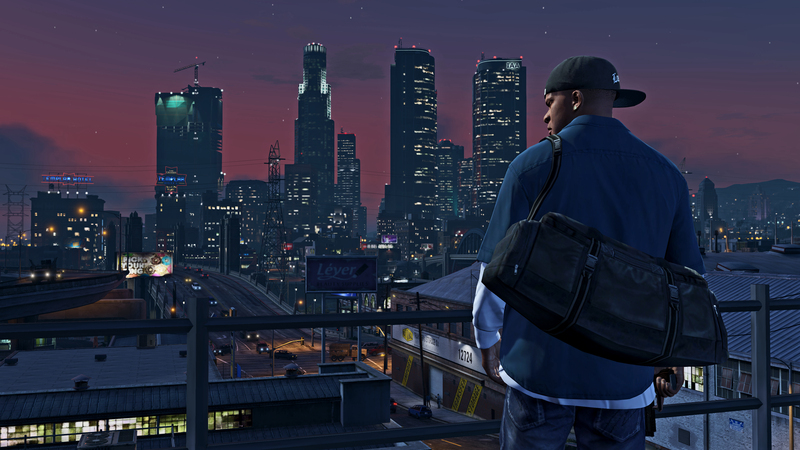 In case you have been living under a rock for the last year, or past 14 years if you want to include past entries into the series, Grand Theft Auto V is a game which has been developed by Rockstar North and Published by Rockstar Games. It’s a continuation of the ever popular series where you can do pretty much anything. From racing to street fighting, this game has it all. 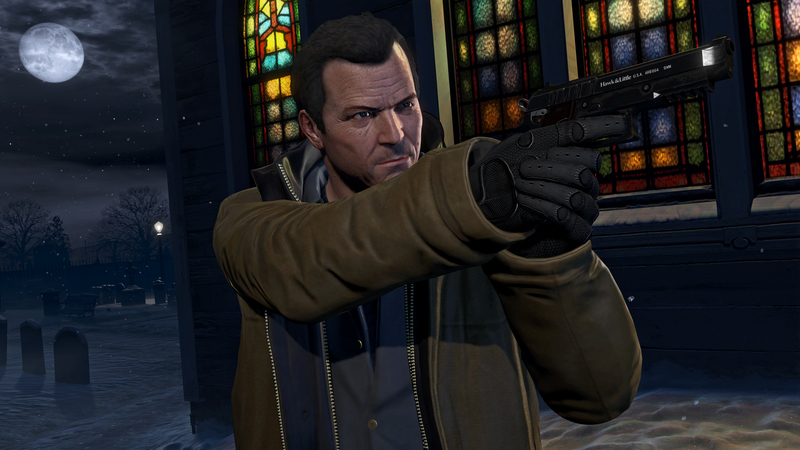 GTA V came out on the Xbox 360 and PS3 last year and took both consoles by storm. There weren’t a lot of people not playing the game and for good reason, it’s amazing! The story mode was well written with good characters and after a few hiccups they finally brought out a fantastic new multiplayer world in which you could create your own mute GTA V character and play with your friends. Along the way however there were some major hiccups. Issues with the matchmaking or simply not being able to join your friends were all major issues with the game as were the infamous heists which only recently came into being. All that aside though, the PC version of this game is fantastic! From the start the game just feels complete. One of the main things I was looking forward to when I started up the game was the first person perspective. I played the game on the Xbox 360 for quite some time and really enjoyed it but after playing in the first person mode for about 5 minutes the game felt totally different to me and it was amazing. It really lets you see the detail of the weapons and the surrounding scenery which you can easily miss when you are in the third person perspective. There are a few things which I really like about the first person perspective, such as when you’re in a car and you put the handbrake on to do an awesome drifting turn, the light on the dashboard for the handbrake will come on. Or when you put the headlights on the light will come on the dashboard as well and it was these smaller details which really made the game feel like a complete experience. There was one interesting moment where I thought I had an issue with my video card, the colour on my screen was all messed up and a purple hue over the top of it and I was slowly but surely starting to lose my mind and do you know what it was?! I was wearing purple sunglasses and the shades give the game a hue effect from the first person perspective! AMAZING RIGHT! These fine details made the game for me. On the topic of video cards, there are numerous settings which can be tweaked or turned down or off in order to make sure the game is playable for almost any system. I can play it just above average and it looks amazing, its smooth which is a big bonus and the V-sync doesn’t have too much of an effect on the framerate and keeps the game stable and looking even smoother! You can turn down the amount of traffic on screen, the trees and reflections just to make sure your system can play this amazing game. In regards to controls, I was concerned that they wouldn’t transfer too well over to mouse and keyboard from the controller but they feel really natural and made everything a lot easier for me since I began playing on a controller, that and I feel I have greater control over the aiming and camera angles when playing. You can tailor the controls to yourself as well and you can change what style you play with easily and without any worry of the game breaking. In my opinion, after using both the controller for a year and mouse and keyboard for a couple hours, I feel a lot more natural playing it with the mouse and keyboard. I don’t necessarily feel like it gives some people an advantage over other players but its just my preference. I have been beaten and beat people on both mouse and keyboard and a controller so it all boils down to what feels natural for you. Would the online work right? Would the matchmaking be better? Would using a mouse and keyboard give you an advantage? I have to say from the get go, YES the online works really well. It’s a really easy transition from Single Player to Multiplayer as it should be and with the new player cap being increased to 32 players you can easily join a game with your friends. The matchmaking was indeed a lot better, it’s really easy to find a game and also people are always playing so you never have to wait too long for a game or a job to pop up and with the addition of Heists, which work perfectly by the way, there is always something going on and something to do. One last thing to touch on is the Rockstar Editor, which is exclusive to the PC version of the game. You can basically bring out your inner Martin Scorsese in this mode, which is surprisingly easy to use. Things such as Cut’s and Camera changes are simple to implement through the use of quick-key shortcuts so you aren’t having to do about twenty things to try and get the perfect shot. You are able to speed up or slow down time, add filters like you were using Instagram, make characters punches crazily overpowered, and alter gravity to moon like proportions. Again with this mode being easy to use, all you need to do is press F1 during the single player and you will instantly be taken to the Editor and the more you get through the game, the more characters you unlock to use in this mode so it gives you incentive to finish the game to have a bigger cast to play with. I will definitely be putting more time into the Editor than I already have done to try and rival some of the videos that have already sprung up on YouTube. Everything else is pretty much the standard that you would expect. The game looks amazing, sounds amazing, the world feels really alive, and there is always something to do. I am looking forward to moving on more into the single player and unlocking and using more weapons and outfits as well as doing some more heists in the multiplayer. I would strongly suggest you to grab a copy of GTAV on the pc as now the modding community is getting hold of it as well and over the last couple of days I’ve seen some amazing things like playing as an animal, or an Instant Rag Doll button which just looks hilarious. I think these mods will only get better with time and we will come to see some amazing stuff coming out of the community with this! At the moment the game is currently £39.99 on Steam which is pretty standard and well worth the money as so far all the DLC for the game has been free and is free on PC as well. You can also transfer your character over from your console version as well, just like with the PS4 and Xbox One versions of the game. That is something I should probably do but haven’t yet! 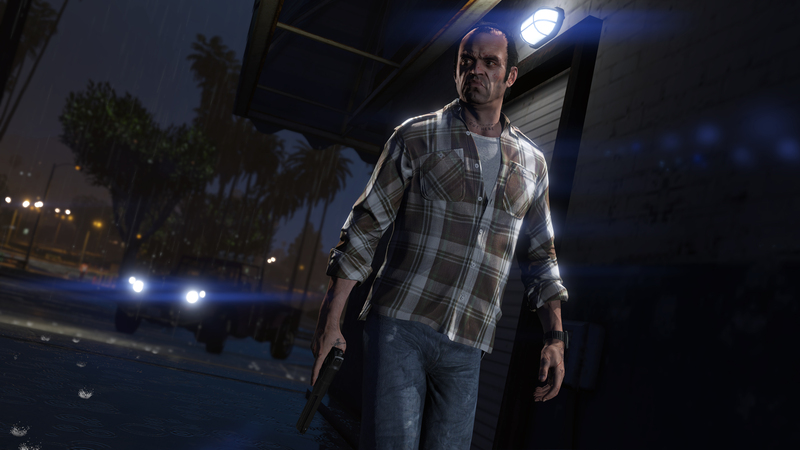 This entry was posted in Uncategorized and tagged Grand Theft Auto, GTA Online, GTA V, PC, Rockstar Games. Bookmark the permalink.